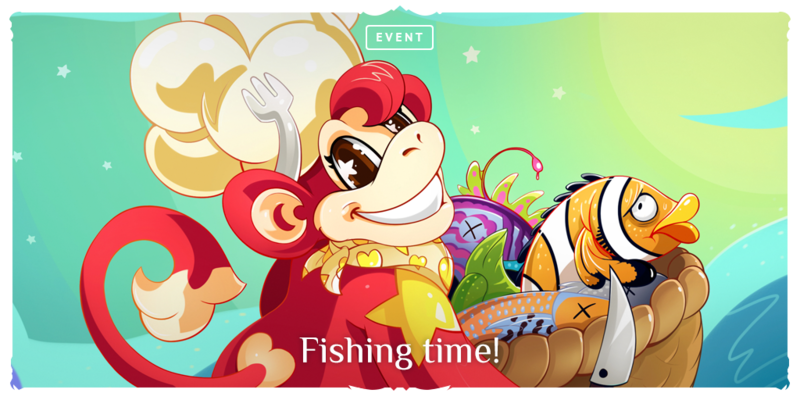 Monkey Chef arrives for several days to Elmoreden and brings exotic flavors to freshen up this severe world. 1. Banana harvest in Elmoreden! A chance of Banana's Herb drop rate triples every day from 16:00 till 00:00 UTC+1. The effect of Banana's Herb disappears after log out. 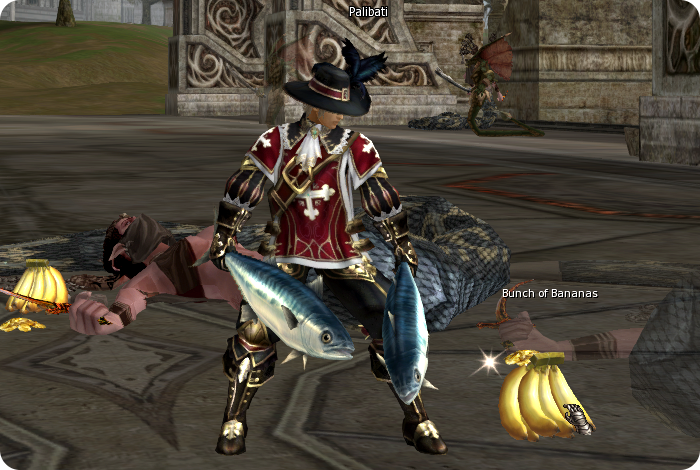 Fishing is available to characters with level 20+. Class doesn't matter. 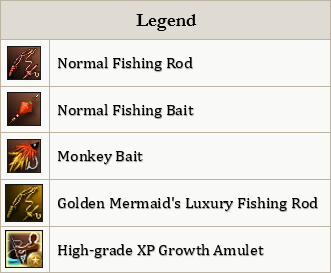 Every try during the fishing consumes 1 bait regardless of the result of fishing. ooaris and Constance9 like this. Base on those numbers, if I use everything from shop and event, I need only 229 days to make 40% on 79 char. you already have blessed and normal shots for mages? what do you want blessing blessed spirtitshots? 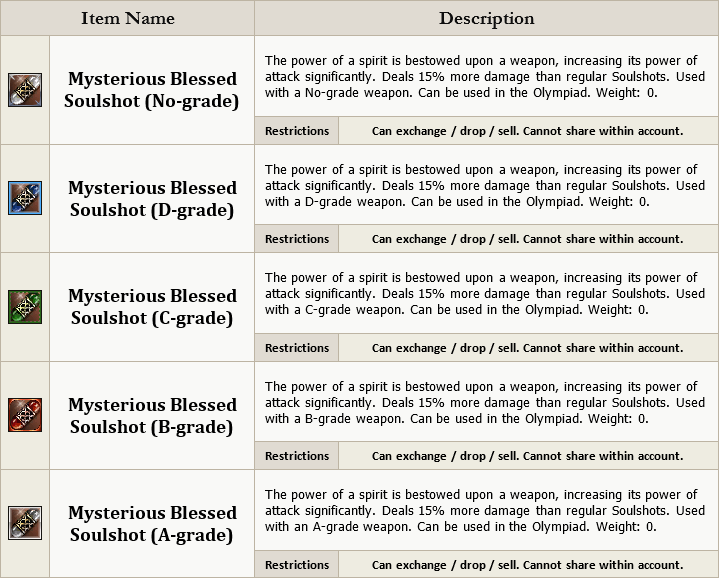 SaMa -> mysterious blessed spirit shots. Thank you for wasting our times, you don't even read feedback. Like an afk lvl 20 fishing event after the last two? Can we please have an event with no P2W component and no stand-around-town component? This is sad. Artchem and xForce like this. Remember what I told you last week. They literally do not care, the Koreans tell them something and they do it. We are just number not people to them. I'm always puzzled when people say this. Of course they do not care about us as human beings. But they sure do care about us, and our money, as customers. Happy customers are long term customers who spend on the product. Unhappy customers go elsewhere. It pays for any company to listen to its customers and do what they can to make the customers happy. NCSoft and Innova understand this as well as any other companies. 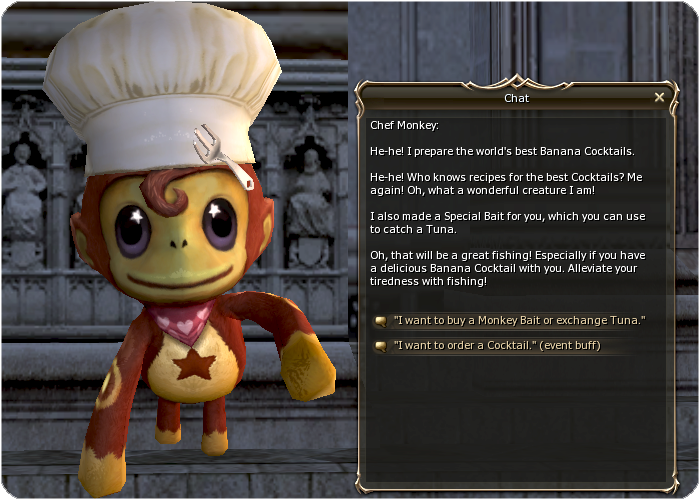 I'd rather collect bananas as drops from mobs and exchange them at the monkey for a more varied list of rewards. But, you know this already. We're tired of asking for farm event. This is a farm event, just not with the rewards you want. You have perma double prophecy if you have a 76 lvl buffer. If you do not and are newer on the server then you can fish when you are not playing to get a prophecy item and then you have double prophecy while farming. There are not many options for decent event on Skelth. I can name only one - pumpkins. Now when auto-macros are removed and afk farm is punishable (if they catch you ofc), to obtain the event items is by farm them by hands :> Not a bad deal. We cant have adena event, because this is core rule of Lineage 2. All adena comes only from killing mobs (drop) and from selling drop to NPC. 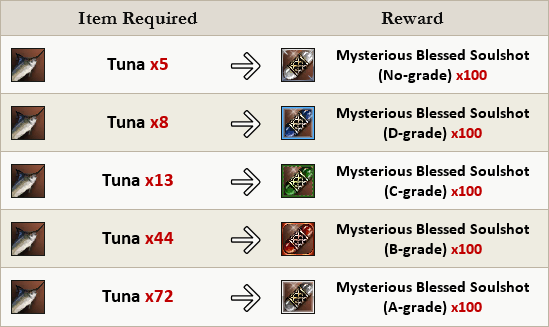 The only thing you exchange tuna for is PvP shots. The cocktails you buy with 200 spirit ore. 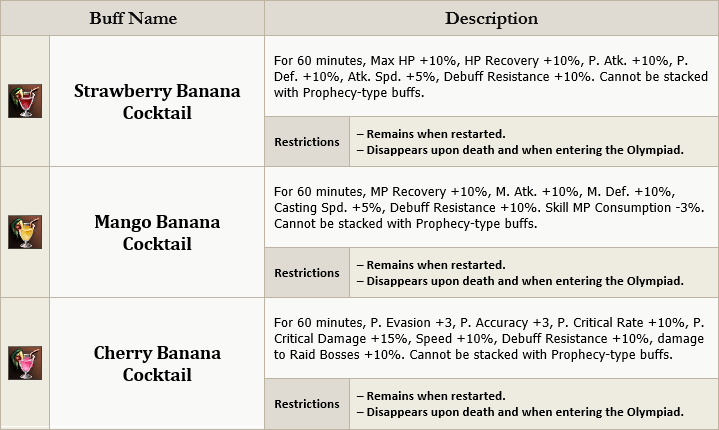 The banana buff and the juice nice for levelling, for those that do so whilst not standing around waiting for RBs to respawn. And roughly it takes around 1M adena for 1 day fishing. But we can see before lvl 47, you can get at least 1 lvl per day afk legally. That's not too bad. 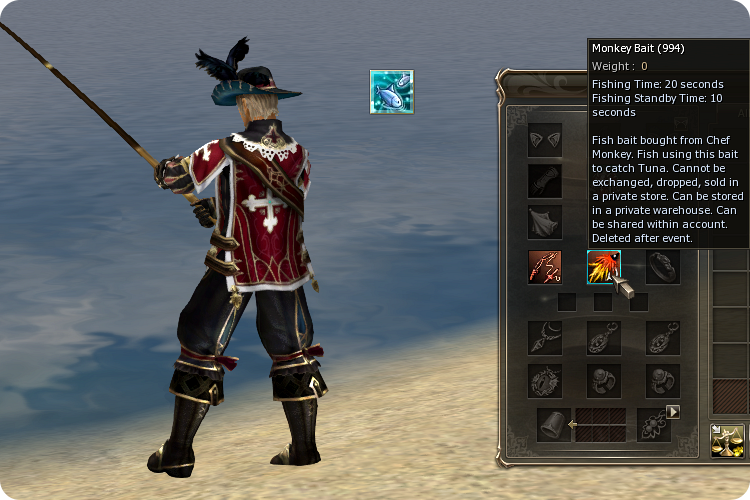 To say, if you start today fully geared, 24x7 fishing, you can reach around lvl 50 when the event ends. Constance9 and GentlemanJim like this. Thanks for going to all this trouble, but you can fish 2 times a minute, not 3. 20 seconds fishing and 10 seconds an additional pause between casts. And not all your fishing succeeds. The best you can do is 80%.